Announcement When the envelope is opened, your invitation is the first indication a guest has about the event and the party details ahead. Make an impression on your guests with our unique, classic, sassy and modern party invitations, baby shower invitations, bridal shower invitations, and birthday invitations that really say something about your style and the type of event you're hosting. When the envelope is opened, your invitation is the first indication a guest has about the event and the party details ahead. 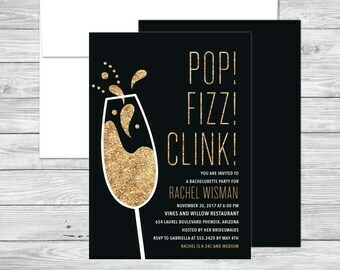 Make an impression on your guests with our unique, classic, sassy and modern party invitations, baby shower invitations, bridal shower invitations, and birthday invitations that really say something about your style and the type of event you're hosting. Beautiful invites!! As featured in the description and prompt responses. Custom order up! Did you know that all of our invitations are customizable? You can take any of our existing designs and have it changed to suit your occasion. What better way to celebrate your Mom (or Dad) and their newest addition, than with at Tropical themed Sip and See. For more information about this design, please visit the shop and get this design for 15% off! Simplistic Invitations was started in 2011 as an idea given by my mother when a friend called wanting invitations for her cousin's wedding; after hearing that I designed her own invitations for her wedding. ​After much research I decided to create a stationery haven with an affinity for beautiful paper and fresh design. Where I creates hip cards for all of life’s happy moments including birth announcements, shower invitations, save the dates, wedding invitations, birthday invitations, holidays and more. I love what I do, whether it's offering etiquette or design advice, style inspiration or planning tips. Whatever your style may be, I am committed to helping you find the perfect stationery to make your event a beautiful success. Plus, if you're in the market for holiday cards, party invitations, and more, I invite you to check out our other occasions for more inspirations! I am a graphic designer and ‘brand stylist’ by trade. I came from a design background and truly believe in the use of color, patterns, and type throughout a brand. I want each client to be proud of their invitation and show it off with confidence. 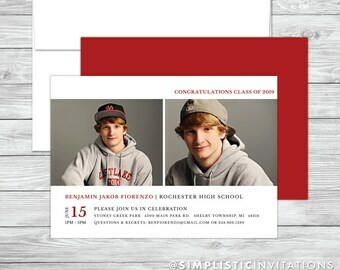 You can customize the wording on any invitation or piece of stationery. It is however best to keep it to the same amount of lines to keep the integrity of the design. On the listing for the design that you are interested in, see at the top of the description as to whether the font, font color, and/or artwork colors are also customizable. What types of paper & envelopes do you offer? Our Invitations,Announcements and/or Save the Dates are professionally printed on extra thick 110# White or Natural White Stock and with white 80# White or Natural White envelopes included in your order. Both can be customized any color(s) from the color chart. Other colored papers are available upon request. Please send contact me on paper/envelope availability. Can I use a wedding or birthday design for a different invitation? Absolutely! Just enter the wording you would like on the card in the personalization form and we will update your proofs to match.